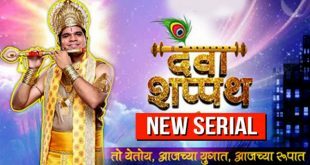 Prem He Marathi serial will be aired on Zee Yuva channel from February 27th 2017. As the channel Zee Yuva is getting peppy and youthful , the channel is launching new serials among which we have Prem He which is the first of it’s kind. Although romance was always a favorite genre for movies and serials, this one comes with a unique concept. Prem He has five couples from different age groups and social backgrounds. It has a movie like feel to it thanks to the presence of many actors whom we have seen more on the silver screen. The star cats and pairing is definitely quite enamoring. The five couple will be depicting in and before marriage in an intriguing manner. The most charming pair of the lot is Spruha Joshi and Siddharth Chandekar. The beautiful pair had earlier acted together in a movie and are highly popular for their sweet looks. Prem He is a romantic drama that will replace the show Ithech Taka Tambu. It will be aired in the 9.00 p.m.slot every Monday and Tuesday. This interesting romantic drama will be aired starting from 27 February.